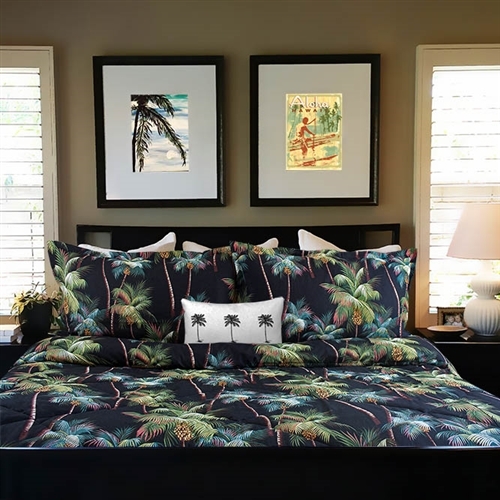 Our Palm Tree Bedspread is made from Bark Kahala Fabric! 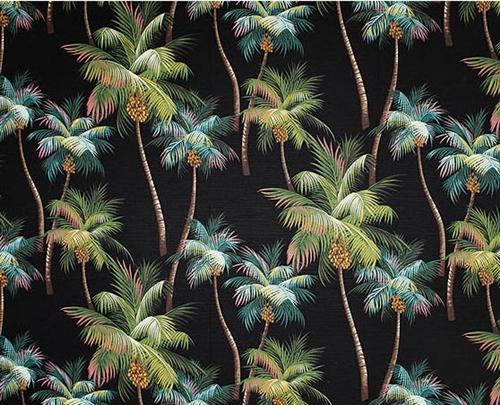 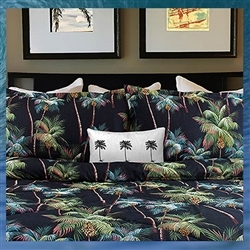 Palm Tree Bedspread - Our bedspreads will hang ten all the way to the floor. 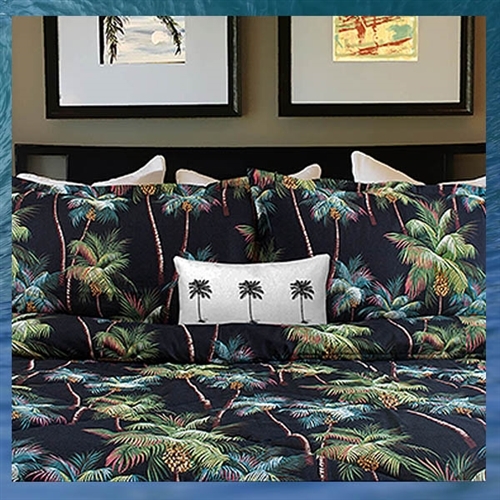 Not as thick as a comforter, and no need for shams or a bed skirt any more with our tropical styled bedspreads. 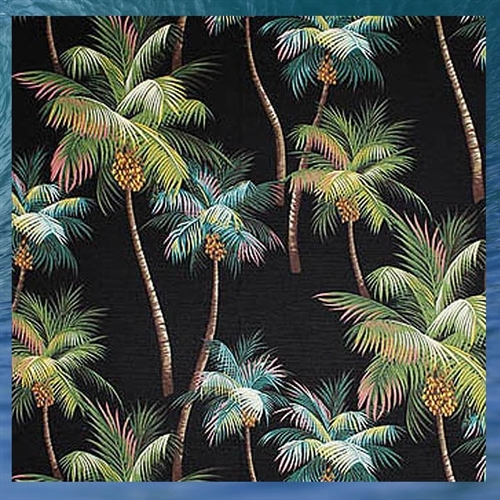 Our bedspreads are hand sewn here in Southern California, the quality is amazing on these!